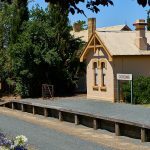 Founded in 1876, Corowa is a picturesque Australian country town with a population of 5600. It lies at the centre of a prosperous district devoted mainly to the cultivation of wool, cereals, wine grapes and fat stock and it is supported by a huge piggery, an abbatoir, timber-milling and wine-making. The land was once occupied by the Wiradjuri Aborigines whose language was the source of the word ‘currawa’, meaning either ‘rocky river’ or referring to the curra pine which was once found in abundance in the area and which furnished gum for the indigenous people’s spears. 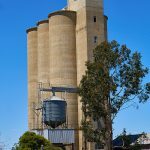 The region is steeped in history, playing a significant role in the 1901 Federation of Australia, boasting a historical ‘man-made’ lake vital to the irrigation of the Riverina Murray area and seeing the attempt of several overland services. 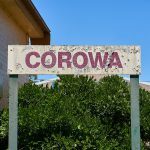 The township of Corowa is often referred to as the ‘Birthplace of Federation’. It was at a conference in Corowa in 1893 held by the Federation Leagues of Australia, that a resolution was passed paving the way for the eventual formation of the Australian Commonwealth. Until the Corowa Federations League Conference the Federation Movement had been largely a political movement. However, following the passing in of the unanimous “peoples” motion to the Corowa Court House, the Federation Movement became a popular people’s movement. This held ultimate significance and saw the beginning of the push for Federation by the people. Finally after a lengthy process lasting 50 years, Queen Victoria proclaimed the Commonwealth of Australia and announced Federation was to be inaugurated on 1st of January, 1901. People power also played a role in the development of Lake Mulwala in 1939. The River Murray Commission sought to create the Lake at Mulwala as irrigation water storage. The Commission were planning to fill the area without removing a considerable Red Gum forest, which as a result would become submerged. The locals however had another vision for the area as more than just irrigation storage; they saw the opportunity to create a picturesque lake. As a result of considerable community spirit, local volunteers worked long hours felling the Red Gums by axe. The tree felling was complete in June 1939 and the Lake was first filled on the 12th of August of the same year. The local communities use the Lake for water sport and recreational activities.